Looking for something a little more exciting for your event? 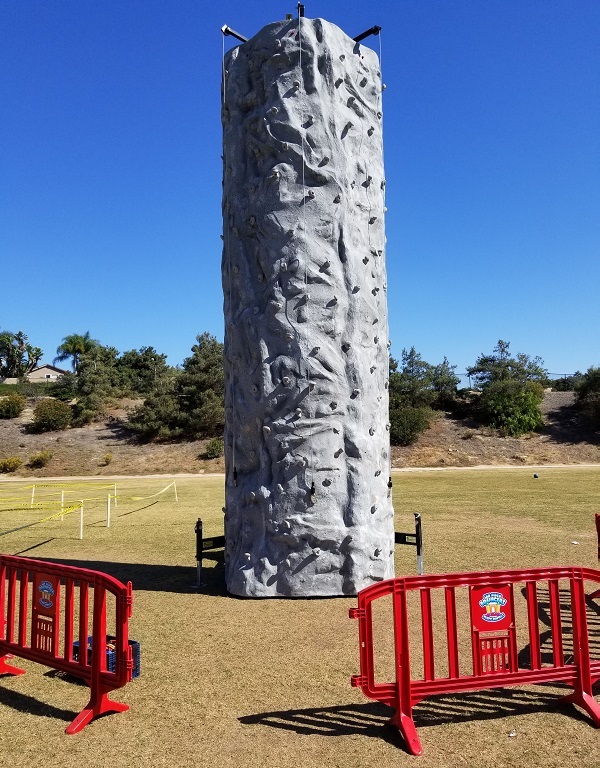 San Diego Bouncers has mobile rock walls for rent! 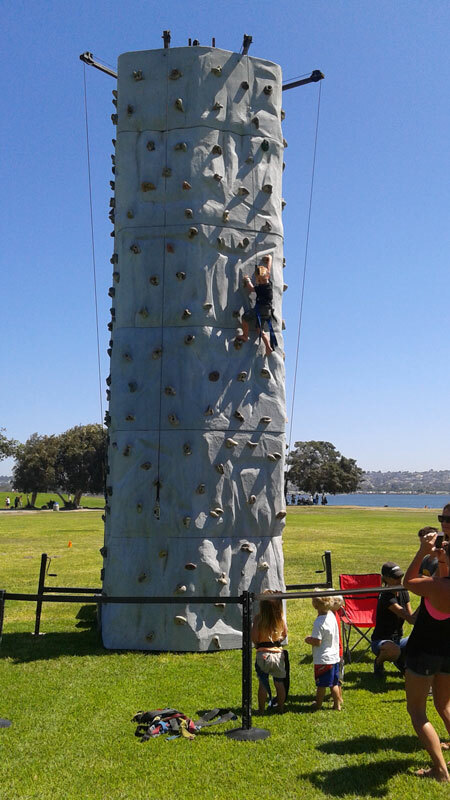 Rock walls are a great rental for a school carnivals, corporate picnics or church events. Our rock walls come with a trained staff member to run the wall and suit the climbers up with climbing gear! Climbing walls are 25' tall and have 3 climbing stations, using an "auto belay" system, which allows the climber to automatically and safely descend to the ground. Please note: Our Rockwalls can be rented for any independent duration of your event. It is not required to be rented the same duration as any other equipment. Capacity: 3 participants per turn, up to 150lbs ea. Max 450lbs. Minimum space: 10'L x 10'W x 28'H. Doorway/Pathway: At least 12ft wide drive-up access to setup area.